Nearly all the time we are meditating on or thinking about something. But we have a choice about what we meditate upon. The mind is active; if not directed, it will often seek the lowest level. Worries and fears can occupy our minds fully with very little bidding. 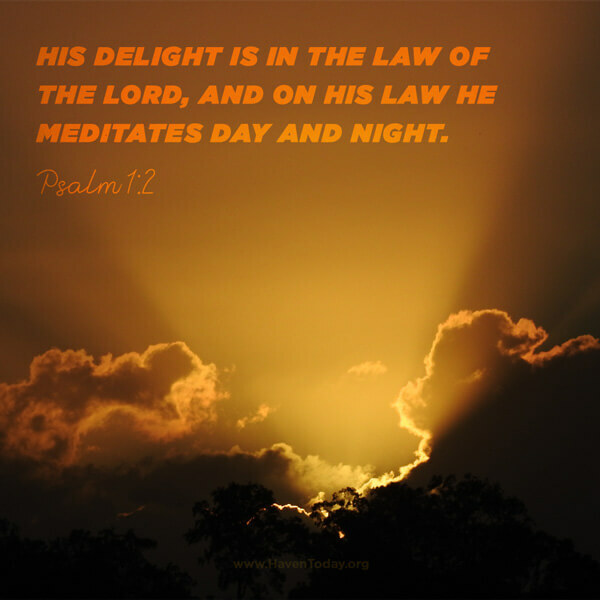 Psalm 1 is instructive to us about what we would dwell on. It’s rich in promises to those who choose to make God’s Word their meditation. Stability, fruitfulness, endurance, prosperity, protection, and watchful care come to us when we meditate on God’s Word. Yet we don’t do this under compulsion. Instead, we find genuine delight in the Lord. Many disciples turned back from following Jesus. When Jesus asked the twelve if they also wanted to leave Him, Peter answered, “Lord, to whom shall we go? You have the words of eternal life. We believe and know that you are the Holy One of God” (John 6:68-69). Jesus, who Himself is the Word, wants us to refuse the counsel of the wicked and the way of sinners and mockers and be planted forever, faithfully in Him.